When it comes to our faithful canine friends, as pet owners we want the very best for them. There’s no doubt that taking measures to prevent and rid the risk of dental maladies will contribute to ensuring a happy and worry free life. We often take great care of our pets providing them with a healthy diet, plenty of exercise and loads of love but do we consider their teeth and gums as much as we should? It’s important to know the implications of poor dental hygiene in dogs to emphasize why we should be treating and preventing it; when unchecked, what seems like a small buildup of plaque can amass into much more serious health conditions (periodontal disease), discomfort, pain and stress. 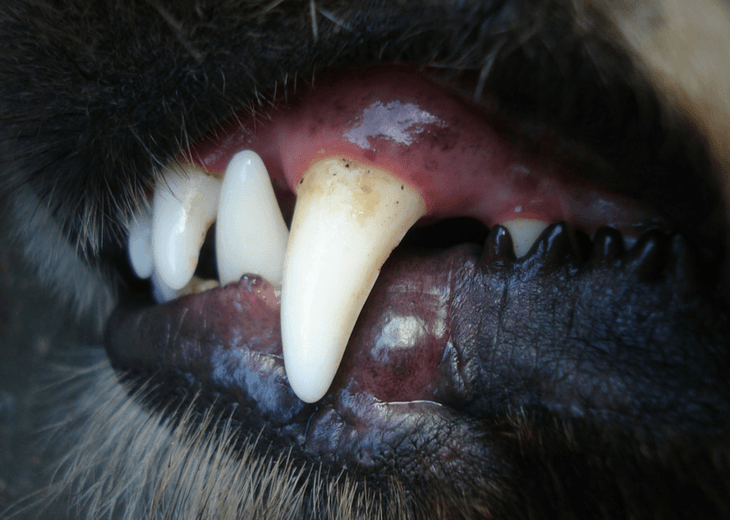 According to PetMD diseases that affect the oral health of dogs are among the most commonly diagnosed ailments, which highlight a lack of awareness on the part of pet owners with regards to taking adequate care for their dog’s teeth and gums. Loose/Missing Teeth – A sure sign of an infection is the teeth coming out of place meaning the roots have become loose due to tissue destruction in the gums. Unable to Chew – As a result of pain and sensitive teeth and gums, your dog may not be able to chew food properly and instead may just try and swallow it whole. They may even actively avoid food that is too large to swallow without chewing. Gingivitis (gum inflammation) –Gums become bright red in color and may even bleed. Plaque buildup – Plaque eventually hardens into tartar, which can then act as an outer coating of an unseen cavity and make it harder for you to prevent and treat infections. Swelling – If you notice swelling around the jaw it may be a sign of infection. We can all takes steps to reduce the likelihood of these problems arising in our beloved doggie friends; saving money, emotional turmoil and stress in the long run. It’s not as hard as you think; it just requires patience and persistence. There are plenty of doggie toothbrushes and plaque removers available on the market designed to make brushing their teeth easier for you and more comfortable for them. 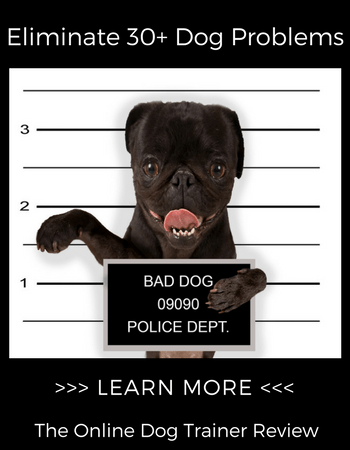 You may want to start getting your dog used to this when they are young through treat based training on a daily routine. If you have a dog that is not used to brushing at all then it’s going to be the most difficult step and some dogs just don’t like it at all and will refuse. If your dog is adamant they do not want you interfering with their mouth, there are also tooth wipes available to buy which are less effective than brushing but are still better than nothing. However, do not keep trying to force them if they do not want it and try other methods instead! Dogs love a nice treat to sink their teeth into and enjoy the challenge of gnawing away at it; what’s great is many are designed to also improve dental health! There are many different brands and products available, some that can be consumed, others made from a similar hard rubber material to dog tooth brushes; effectively they are brushing their own teeth and doing what they love at the same time. Deer antlers and raw bone are also effective at scraping that plaque away as your dog goes to work on it, make sure that if you do provide your dog with animal bones that they are not too small or too big for your dog’s size and also uncooked to avoid splintering. 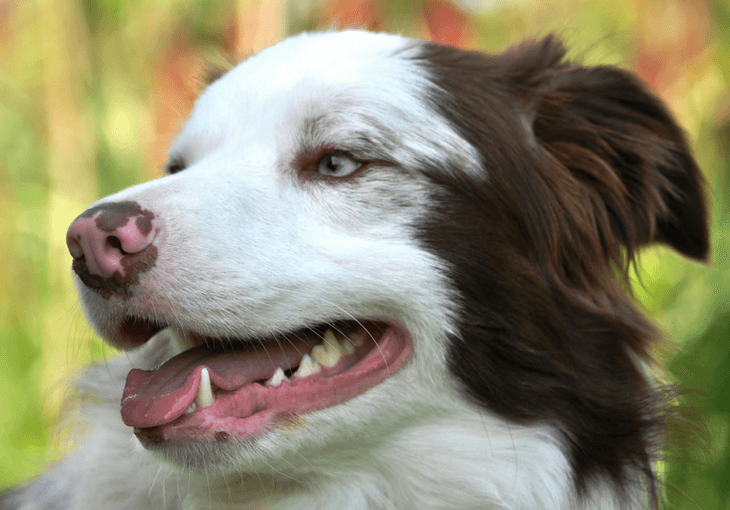 It’s generally considered that dry dog kibble is best for their teeth and removing plaques in comparison to wet food but people also opt for feeding their dog a more natural, raw meat diet. However, it’s important to ensure your pet has a balanced diet which contains the nutrients they need. It’s best to absolutely avoid giving the dog too much human food and table scraps (as tempting as it is) because it is usually high in salt, sugar and preservatives, which can harm their digestive health as well as their teeth. An alternative for a dog that just refuses to brush is a dental spray. As long as your dog will allow you to get their mouth open for a couple of seconds, a dental spray will help to fight plaques and tartar. There has been some advancement in preventative treatments against dental problems in pets which are by no means a reason to not look after a dog’s dental health but can have a dramatic positive effect. To name one is the porphyromonas vaccine which targets strains of bacteria that also cause numerous other problems. Consult your vet about this treatment as it could be highly beneficial. With the above tips you should have no issues keeping nasty oral ailments away from your dog, but there’s no sure fire way of 100% prevention. We all want to see our companions have long, happy and healthy lives, it is without any doubt worth doing what we can. About the Author: Carl Mclean is a dog owner, wildlife enthusiast and blogger who’s other works can be found on Animal Mentor.